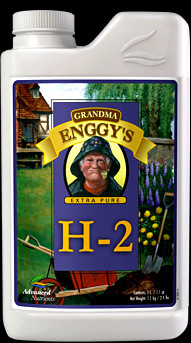 Douglas, a grower from Spokane, Washington, had been growing our types of plants for years. He had recently switched to only eating organically grown fruits and vegetables and loved the health benefits. So he wanted to bring the same feeling into the crops he was growing. Excited, he started with a common organic fertilizer called Earth Juice… and… in his own words it was “a nightmare”! – While he was getting a decent harvest before with a 3-part synthetic blend, his plants were now pale green, sick looking and he was left with an “overflowing toilet” type situation in his grow room! After his disgusting results, Douglas flushed out the Earth Juice and tried the next organic fertilizer his store recommended, Pure Blend Pro. But he soon found out it was just an additive and not a base nutrient. Even worse: these carbonates, which are included as pH buffers actually leak into the growing medium … build up over time becoming more concentrated … and eventually raise the pH of the growing medium … creating a less than ideal growing environment for plants. On a mission now, Douglas was determined to find an organic nutrient blend that worked! They were extremely hard to mix and use… smelled bad (so bad, they couldn’t be used indoors because of the raw sewage smell)… clogged his pump system… or they didn’t give the plants enough nutrients to grow strong. At first, Douglas was skeptical of IGUANA JUICE™ because everything else he had used promised to be just as good and still gave him the same disgusting and frustrating problems. But, with the 100% money-back guarantee Advanced Nutrients offers on all their products, he figured he had nothing to lose so he bought both IGUANA JUICE™ grow and IGUANA JUICE™ bloom one-part nutrients for his next cycle. “Let me tell you, I could tell from the first time I opened the Iguana Grow container that this was going to be different for me and my plants. I could tell that this was a fully organic formula but also that it didn’t smell like sewage. It poured easily and diluted itself into my reservoir real well. It worked easy in my system and went right into the plants’ roots with no trouble. The plants were greener and grew faster than I had ever seen. For example, several types of guano from different sources are utilized so you get a broader range of guano nutrients. And Advanced Nutrients thoroughly washes the guano, so you only get purified guano extracts that don’t make you gag from the smell. In fact, all the ingredients in IGUANA JUICE™ are quadruple clean-processed utilizing so they’re deodorized and disinfected. Because of this, your garden smells great and stays safe! And the manufacturing processes are so advanced that the ingredients retain their whole nutritional value, or the nutritional value is actually magnified (due to the removal of contaminants) during this extensive cleaning process. It’s the same with the immaculate kelp meal extracts used in IGUANA JUICE™. Your plants get more concentrated kelp nutrition than they ever could before. What’s more: Advanced Nutrients uses several different blends of volcanic ash from many different parts of the world (because of differing nutrient profiles) to source only the most powerful, effective and nutritious micro-nutrients possible for use in this formula. In short, every ingredient in IGUANA JUICE™ is premium sourced, deodorized, and clean-processed so you get only the freshest, purest and most potent organic formula available. That’s why it mixes easily in any type of hydroponic gardening system… and… why it flows so easily through almost any type of system without ever clogging it. In fact, Iguana has been specially designed for use with all hydroponics, sphagnum and soil growing mediums. And you can use it with any and all hydroponic, aeroponic, drip irrigation, NFT, ebb and flow and continuous liquid feed growing systems. Here’s how simple it is: IGUANA GROW is a one-part complete organic nutrient for use in your grow phase. And IGUANA BLOOM is a one-part complete organic nutrient for use in your bloom phase. They contain exactly what your plants need in each specific phase to set you up for maximum yields and the most delicious harvests ever. 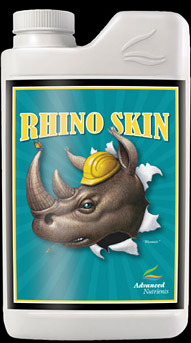 It contains only the most premium, pure, and effective nutrients and micro-nutrients your plants need like fish extract, guano, earthworm castings, yucca, krill, alfalfa, volcanic ash and other exclusively-sourced, premium-quality, 100% organic ingredients that spur plant metabolism, budding sites, floral development, and enhanced taste and aroma. These organic ingredients are loaded with nitrogen, phosphorus, potassium, micronutrients and growth enhancing extracts that force your plants to do exactly what you want them to do as soon as possible. 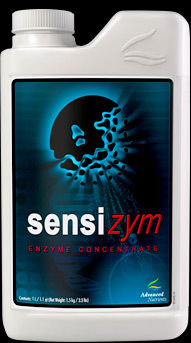 This unique formulation guarantees to improve how nutrients are transfer from the root zone directly into your plants. Tell the person who helps you that you want to put IGUANA JUICE™ to a “home test” in your own garden and see if it really is the best organic formula around. To make this a complete test, be sure and get both IGUANA GROW for your vegetation phase and IGUANA BLOOM for your flowering phase. Next, all you have to do is go home, wash out your current fertilizer and start using IGUANA GROW in your next grow cycle. You’ll see the perfectly engineered organic nutrients with just the right amounts of nitrogen and growth enhancing ingredients promote vigorous growth greener nutrient healthier plants than ever before. Then, during your bloom phase start using IGUANA BLOOM to promote bloom sites, flowers and buds. 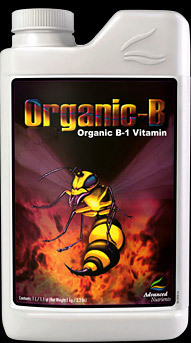 And finally, when it’s time, you’ll get to enjoy the maximum organic harvest you’ve ever had growing organically. In fact, you might find (like other growers have) that you actually get bigger yields than when you were using synthetic nutrients! Plus, you can rest securely knowing that you’re doing the very best thing for your health by growing organically and you’re raising the value of all the crops you grow because they’re all natural and organic. That’s it! After this simple “home test”, if you’re like the 1,000’s of other growers who have switched to IGUANA JUICE™ you’ll never want to give it up and you’ll be enjoying organic growing for years… without… any of the problems, frustrations and aggravations that used to plague your indoor garden! 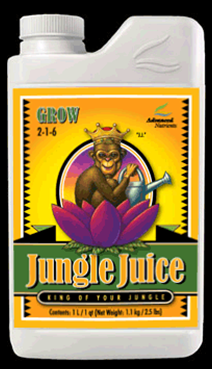 IGUANA JUICE™ was developed specifically for the types of plants you grow to give them… exactly… down to the cellular level… what they need for vigorous growth and big bloom phases. 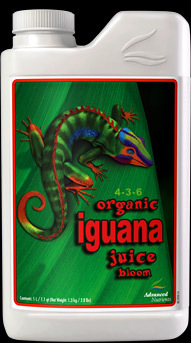 Because IGUANA JUICE™ is a one-part liquid formula, it’s extremely easy to mix and use. So if you’re looking for a simpler, more effective organic fertilizer formula-this is it! Because IGUANA JUICE™ doesn’t smell like sewage and it mixes fully without creating “sludge” in your filters and growing systems, it doesn’t create the same environment that other organic formulas create. IGUANA JUICE™ is a liquid, one-part fertilizer formula that has been quadruple filtered using a heated pressurized system. Iguana is 100% organic and uses only premium quality and sourced ingredients… including… the most potent, effective, and powerful micro-nutrients available today.